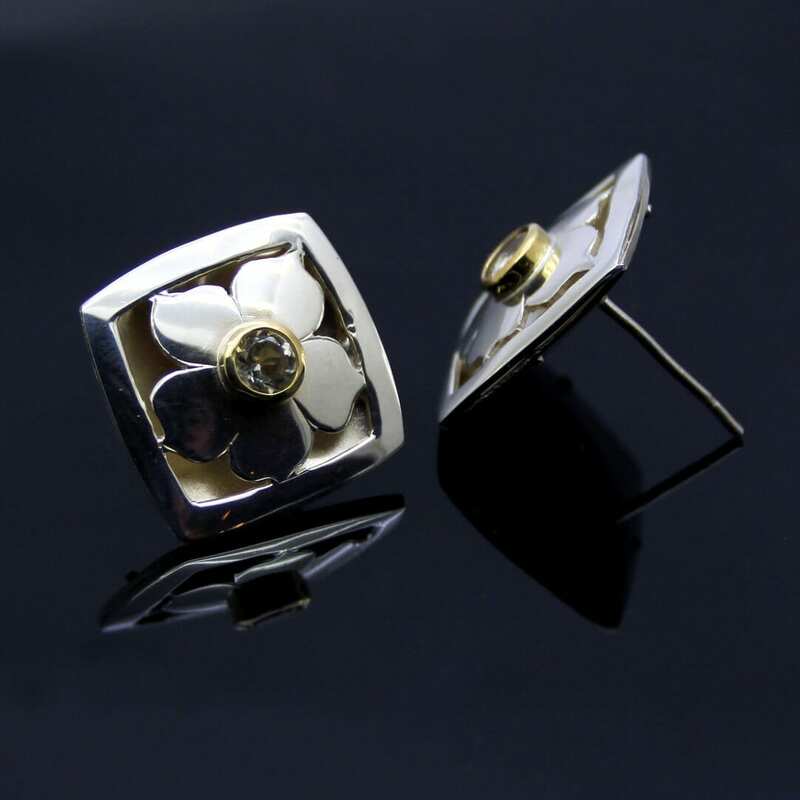 This gorgeous pair of ‘Daisy’ stud earrings is a perfect example of the exceptional design, creativity and technical skill, evident in Julian’s original creations. These gorgeous earrings have been created using a hand piercing technique, inspired by the fret work found on Antique Jewellery boxes, to create two layers of precious metal to create the cut away Daisy motif. This clever design plays with light, depth and texture which is further enhanced by a lovely pair of Round Brilliant cut Lemon Quartz gemstones, set in a collet of 18ct Yellow Gold, which enhances the fresh and zesty colour of these natural gems. These beautiful ‘Daisy’ earrings are finished with a careful hand polish to enhance the high shine, glossy surface of the Sterling Silver and come with solid Sterling Silver post fixings and butterfly backs, suitable for pierced ears. 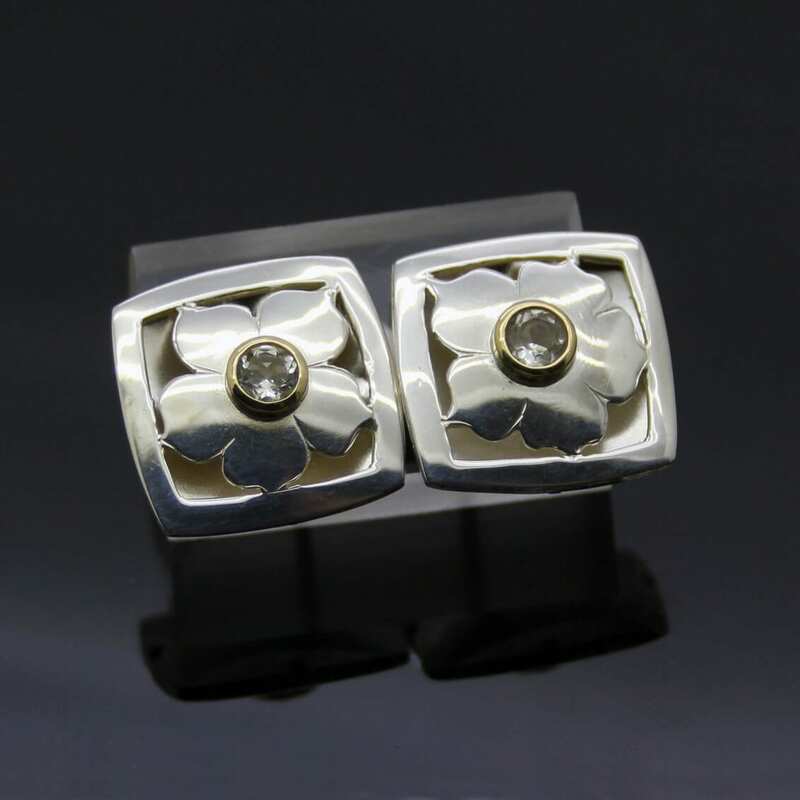 This glorious contemporary stud earring design bears Julian Stephens exclusive maker’s mark and is fully Hallmarked.